It might seem like a hassle to have to write a check every month for your car insurance premium. However, with the right plan to suit your needs, this added expense becomes a bulletproof protection plan worth every penny. Liability Coverage: If you have an accident while driving and injure someone else or cause property damage, you could find yourself in a very expensive dilemma. Liability insurance will come to the rescue in a case like this, assisting with medical expenses and costs related to property damage. A minimal amount of liability coverage is required by state law, and an insurance agency professional will be able to assess if these minimums are enough to meet your needs. 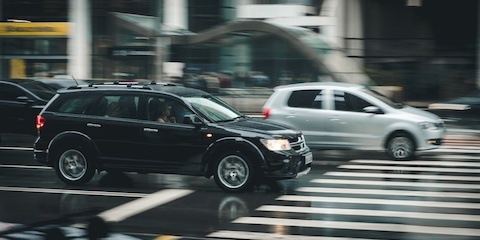 Collision Coverage: While liability insurance covers damage incurred to someone else's property on your behalf, collision coverage covers damage suffered by your vehicle when you cause an accident. The higher the value of your car, the more necessary it is for you to invest in this type of car insurance. Comprehensive Coverage: Collisions aren't the only accidents that can damage your car. Theft, vandalism, falling objects, fire, and storms all pose potentially dangerous hazards. Comprehensive coverage can provide respite in these situations. To protect yourself on the road, choose The Insurance Exchange and receive excellent rates on the car insurance coverage you deserve. The experts at this insurance agency will provide you with customized solutions based on both your needs and budget. Schedule an appointment by calling (406) 756-2500, or learn more by visiting these Kalispell insurance leaders online.